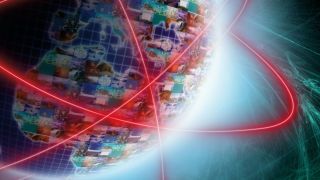 As the US hastens its move towards net neutrality the European Union looks to be heading the other way, according to a leaked proposal put forward by Latvia as part of a wider bill. The proposal, which is reportedly being voted on by the 28 EU member states, would enable telecom firms to "enter into agreements" with companies or individuals to provide faster internet speeds, on the condition that they don't affect other users' connections. There is by no means widespread support for the plans with major liberal politicians arguing that the "drafts that are circulating clearly demonstrate that Members States are more interested in defending the interests of their national telecom operators than creating real competition," according to a statement from the Alliance of Liberals and Democrats for Europe Group. In terms of when the rules could be implemented, EU digital chief Günther Oettinger told the Mobile World Congress (MWC) that they could be agreed on as early as this summer, though that would be contingent on the European Commission, European Parliament and member states all agreeing on them. Net neutrality is, of course, much further along the line in the US. It would seem that a frenetic period of activity would be needed if the EU plan were to become a reality in the timescale that Oettinger mentions. What is net neutrality and why will it affect everyone?